We are pleased to announce our first female Changemaker, Dania Abu Halima, 24, Amman, Jordan. Dania was awarded the Capoeira Changemaker Fellowship based on her commitment and passion to supporting women and girls in her community to have the opportunity to be physically active. Dania joined C4R as a student as part of the Ruwwad Project Partnership, a female only capoeira class. She went on to have 1-to-1 training with one of Capoeira4Refugees female trainers, developing the skills necessary to become an assistant trainer. 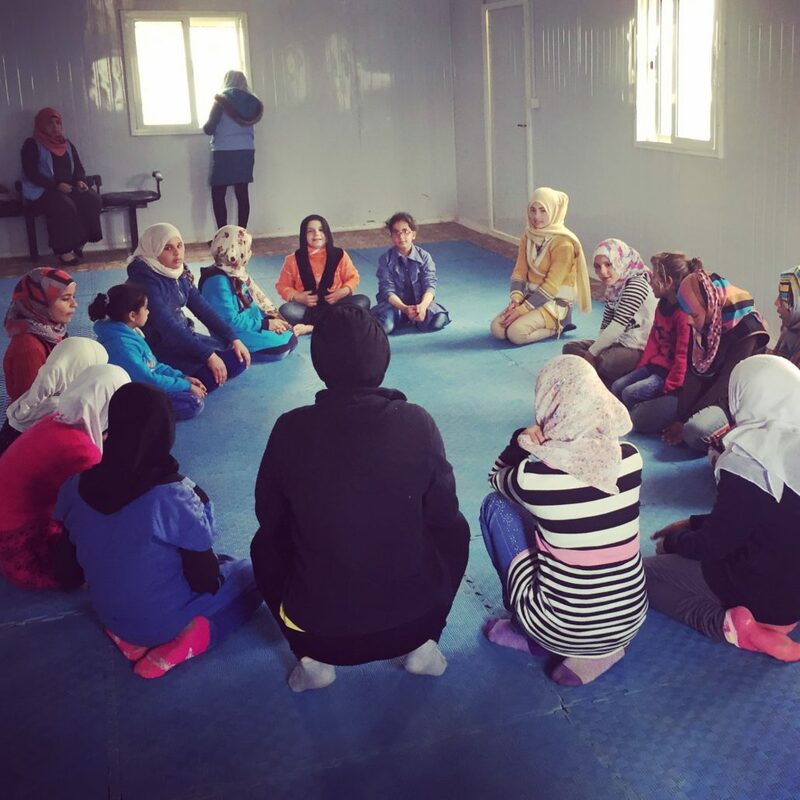 Dania’s presence as a female trainer in both Azraq Refugee Camp and Zaatari Refugee Camp has been inspirational for young female Syrian refugees. For women, and girls it is especially important that there are females that are taking a leading role in civic and cultural activities; who can inspire their peers and their communities to seek positive change. “I’m especially happy to see a female Changemaker in our programme. In the Middle East context, and exacerbated within the refugee context, women do not have anywhere near as much power as men. To have female role models and female engagement is essential if this generation of young people are to grow-up to be the empathetic, emotionally intelligent leaders of tomorrow that the region urgently needs” Ummul Choudhury, CEO. Dania is looking forward to growing her own community project. She dreams large, and as a Changemaker, she knows that the future is hers for the making.